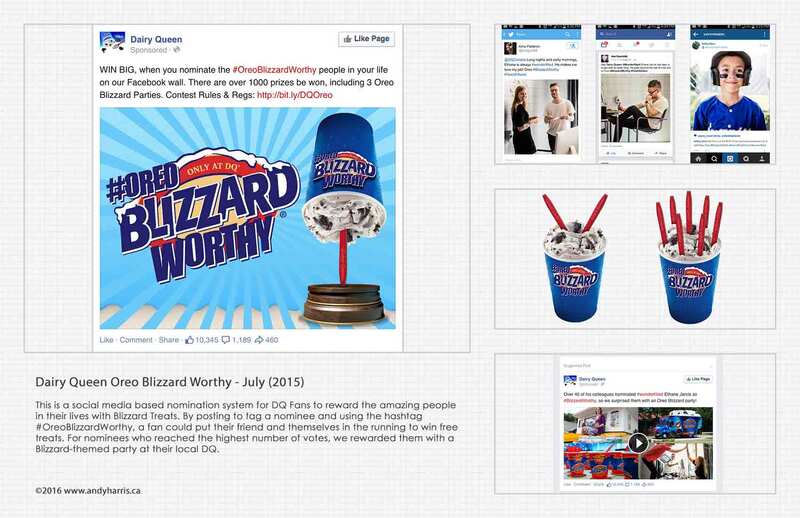 Dairy Queen Oreo Blizzard Worthy – July (2015) This is a social media based nomination system for DQ Fans to reward the amazing people in their lives with Blizzard Treats. By posting to tag a nominee and using the hashtag #OreoBlizzardWorthy, a fan could put their friend and themselves in the running to win free treats. For nominees who reached the highest number of votes, we rewarded them with a Blizzard-themed party at their local DQ.